That’s just it, we all have the world at our feet. The challenge is whether we choose to embrace it or not. I’ve travelled to many far-flung places, and for me, travelling represents a departure from normal life, experiencing new places, meeting new people who are different from you. It’s about freedom and escapism. Putting on a backpack with only a rough plan of where I’m going or how I’m getting there is such a departure from my normal planned and structured every day life. Recently I’ve discovered that you don’t have to travel far to feel the buzz of travelling, sometimes some of the most beautiful places, magical people and unique experiences are right there on your doorstep, if you just care to take a closer look. I work for a charity and last week I was invited to climb Ingleborough which is one of the three Peaks in the Yorkshire Dales National Park by some of our volunteers who are leading a sponsored challenge walk there in September. They wanted me to come and experience it for myself. Although I lived not far away, in Leeds as a student for four years, my student days didn’t involve much hiking outdoors, more drinking indoors. So getting out into the Yorkshire Dales was a long overdue missed opportunity. The climb to the top of Ingleborough took about 2 hours, the scenery on the way was spectacular, rolling hills, forests, small houses dotted across the landscape. Beryl, a volunteer, has lived in the area for 50 years, since she got married. She was a mine of information with stories about the people who lived there as well as being a historic encyclopaedia. It was fascinating how Beryl talks about Ingleborough with so much love and compassion; she lives there and couldn’t imagine living anywhere else. She is an amazing woman, she knows everyone in the whole local community, she is on charity committees organising dinners, raffles, events and has raised a lot of money and respect. And she knows how to really laugh. The views from the top were amazing, and for me to be there was a real achievement. The only others there were a scattering of sheep, looking a bit puzzled and a couple of people. A father and daughter doing a sponsored walk to raise money for the daughters trip with Raleigh International to go to Borneo. Beryl gave her all her loose change. Travelling is about the people you meet, the stories you hear and stories you become a part of, the food you eat, the scents you smell and taking a leap of faith in yourself, doing something you wouldn’t normally do. You don’t have to travel far and wide, you just have to be you and immerse yourself totally in your experiences where-ever in the world that may be. That’s what makes life, and travel rich. Beryl bought Ingleborough to life for me. Go on, I very dare you to step out of the ordinary tomorrow. You have the world at your feet and the only person that can take a giant step to embrace the world is you. 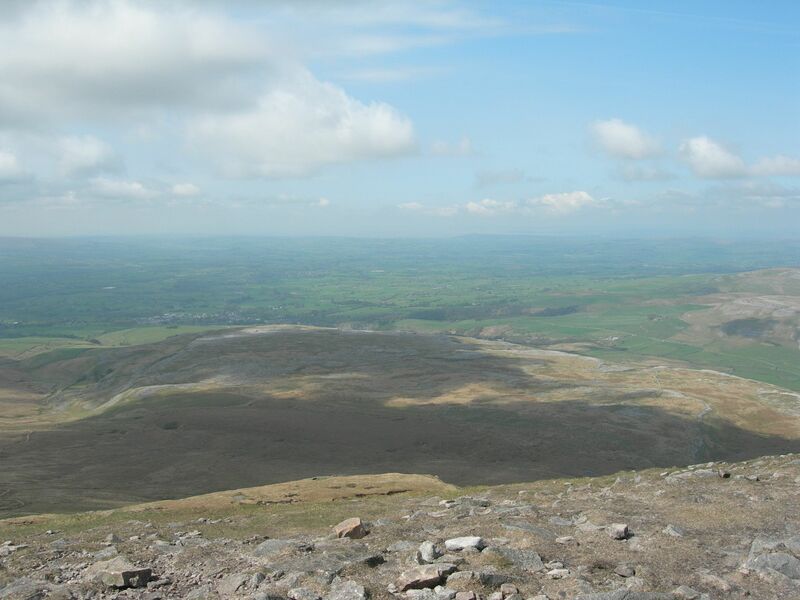 If you want to find out more about climbing Ingleborough for charity follow this link. This entry was posted in fundraising, Innovation, Inspiration, relationships, travel, Uncategorized and tagged challenge, charity, different, fundraising, hack, leeds, stories, student, travel, volunteers, Yorkshire Dales. Bookmark the permalink.